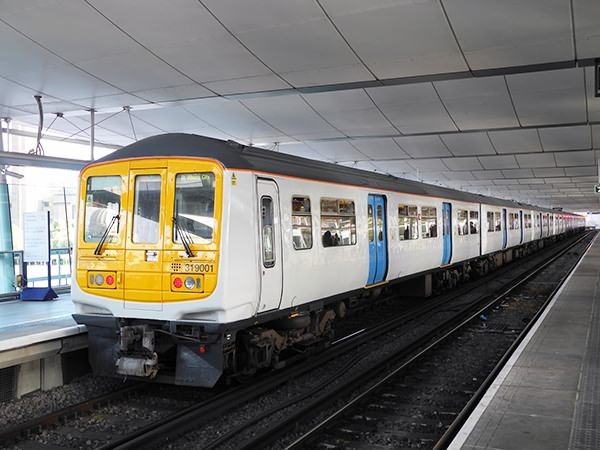 Class 319 units have started emerging from overhaul in the TSGN interim white with light blue doors livery, as also seen on some Class 365 units. 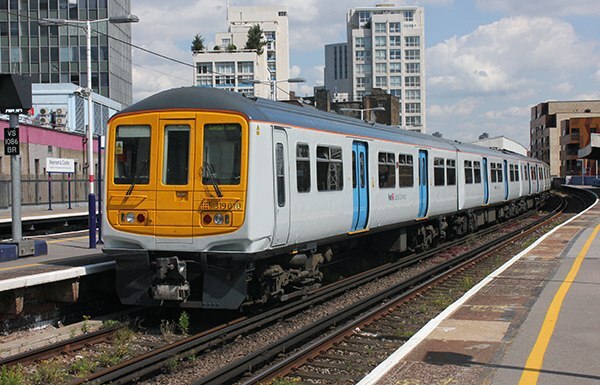 The first was 319010, carrying First Capital Connect branding, as seen here at Elephant and Castle on 1st July 2014. 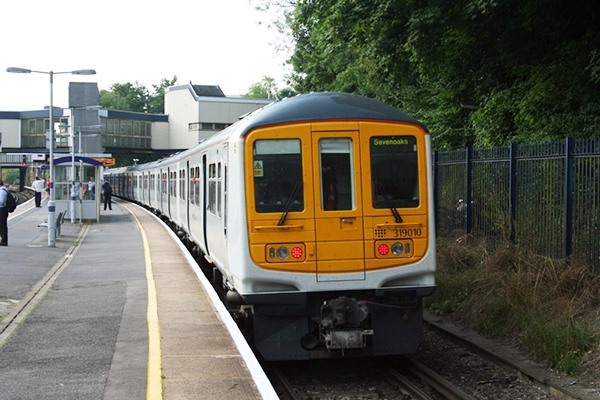 This unit was still carying FCC branding on 21st July when forming the rear of the 19:00 Severnoaks to Kentish Town service, seen here waiting to depart Sevenoaks. 319010 is no stranger to interim liveries. 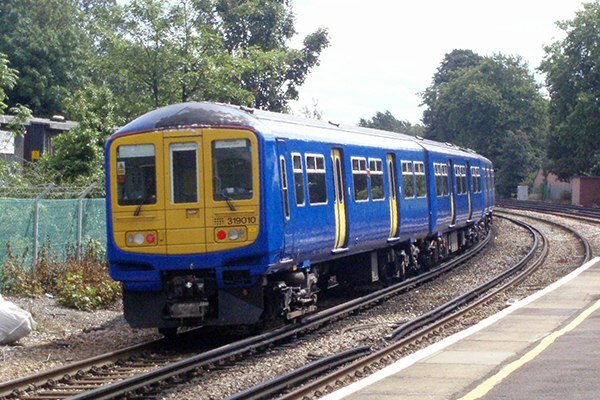 In the latter days of the Govia Thameslink franchise and early days of the First Capital Connect franchise it carried a unique blue with yellow doors livery, as pictured here at Wandsworth Common on 25th July 2007. 319001 was the next to emerge from overhaul in this livery - by this time FCC units of all types were being de-branded so this incarnation never carried FCC titles - and is seen above at Blackfriars on 13th August 2004. 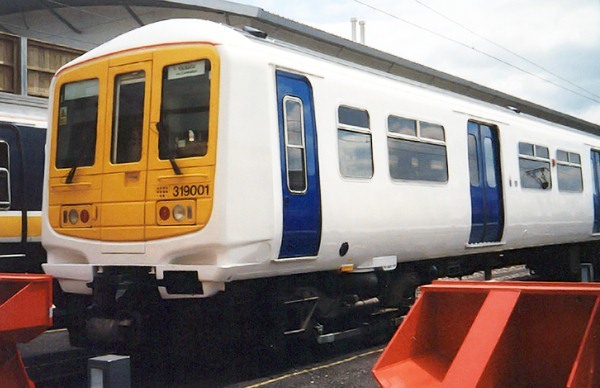 001 is also no stranger to interim liveries because around the same period as 010 above it was running in a unique white with blue door livery, as captured below at Bedford Cauldwell depot during June 2005. It looks like the overhaul cycle for these two units is in sync with franchise change doldrums!